My neighbor for 20 years, Howard Brofsky was an icon, a legend, a jazz pioneer; a Brooklyn-born trumpeter who moved to Vermont and lived down the road. Sometimes we’d come with a dish on the neighborhood walkabouts; or my husband would go down to get into crawl spaces, or help with basement flooding, if Howie wasn’t able to. There was always live jazz at their house; good food, wine, and children underfoot. My three children adored him, as a grandfather figure, yes, but also as a mentor in music and in life. Howard always had time to listen to a young person. He’d stop everything to give an ear to their stories. He leaves his loving wife, Robin, and his children and grandchildren; and a legacy in his name at Queens College. He taught and played jazz right up until his quiet death in October. Many friends gathered at the J-Street Bar for a tribute, but the best memory for me, is shown in my photo—at his 86th birthday party last May— still vibrant, teaching, and adored by so many. Last night at the Vermont Jazz Center, I attended a tribute to the late, great jazz master. It was a celebration of his life with musicians coming to Brattleboro, Vermont from all over the world. Howie’s wife, Robin Westen, spoke to the audience and said that her husband told her to “get it right” before he passed; Howie’s son, Gabriel Sky Westen, also spoke about how close he became to his father at the end of his life. Among the many jazz songs — both classics and some composted by Howard himself — there was one that made this listener, neighbor, and family friend, really feel Howard’s presence. 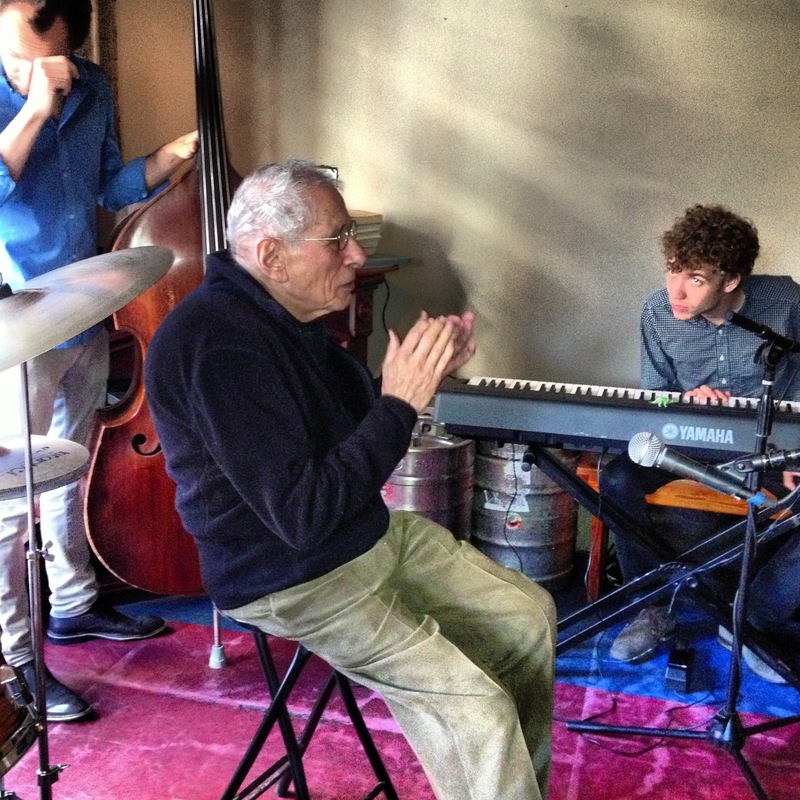 Howie’s granddaughter, Cordelia Tapping sang Johnny Green’s “Body and Soul,” accompanied by pianist, Eugene Uman, director of the Vermont Jazz Center, with his older son, Alex Brofsky on horn. At this moment, I felt like Cordelia, Eugene and Alex, also “got it right,” as did the rest of the musicians throughout the evening. Even though Howie was not there in body, he was with us in soul.